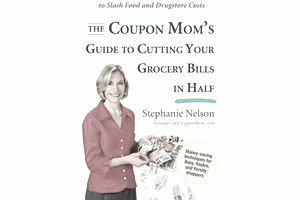 Stephanie Nelson founded CouponMom.com in 2001, making this one of the oldest coupon matchup site on the internet. The site was founded in an effort to help shoppers save money by using coupons and also to help feed the hungry by increasing food donations to hunger organizations with the "Cut Out Hunger" program. Nelson has continued to focus on these two areas since the site's creation. According to her website, in 2004 the Coca Cola company honored the Cut Out Hunger program by selecting Nelson to be a torch runner in their Athens 2004 Olympic Torch Relay. Coca Cola selected participants for their "ability to inspire others and make a positive difference in people's lives." In 2003 the Dannon Company recognized the Cut Out Hunger program in their Families Feeding America contest. In 2002 North Fulton Community Charities named Stephanie one of their "Volunteers of the Year" for the food donations generated by the Cut Out Hunger program. Nelson authored "The Coupon Mom's Guide to Cutting Your Grocery Bill in Half" which was released in January 2010, and became a New York Times Best Seller in its first month of publication and also put her on the top of the list of couponing experts. CouponMom.com has an extensive database showing coupon matchups in several national grocery and drugstores. Registration is required, however the cost is free. Unlike a lot of the coupon matchup sites that are around, couponmom.com lists deals and matchups in a spreadsheet format rather than the more common list format. For coupononers used to a list format, the spreadsheet can take a little getting used to, but the advantages to it will be quickly realized. One real advantage to this format is the ability to sort the deals alphabetically, by when the coupon was issued or by when it expires, or by the "value" which is the amount of the coupon or by the percentage of savings. I always sort the list first by percentage of savings so that I can see the deals with the most savings. Having the ability to view the stores' deals by state is also a big plus and means less time spent organizing a shopping trip, then finding out that the the deals on your list do not match the deals at your local stores. Informative videos for first-time users to the site. The ability to create shopping lists with the item, sale and coupon information. There is a lot of advertising on the site which can be confusing as you try to navigate around. There is no notation when printable coupons are no longer available. The website layout can be confusing and it takes a lot of clicking around to get to what you want. The Coupon Mom site currently lists weekly deals at 60 stores across 50 states.